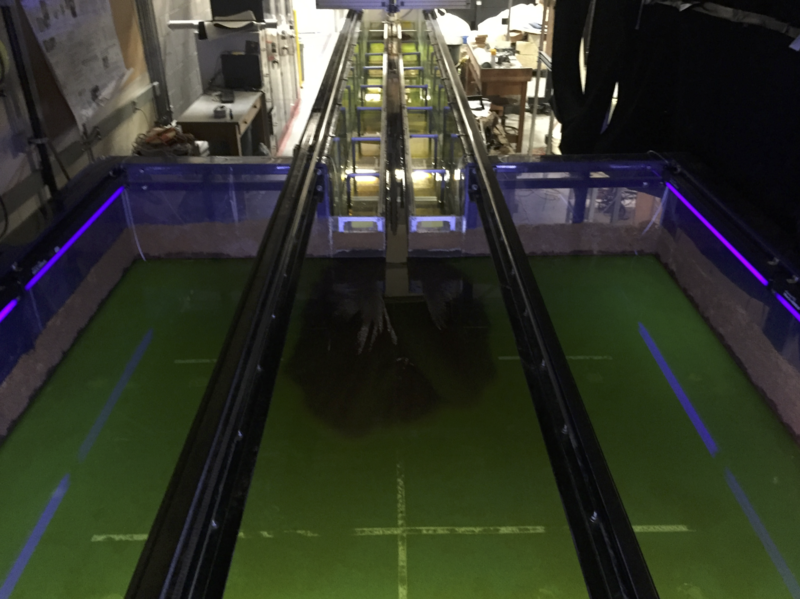 This is an overview of a flume at caltech where a long narrow section flows into a large ocean basin. Here, we build deltas with subcritical flow and backwater lengths of ~1m. 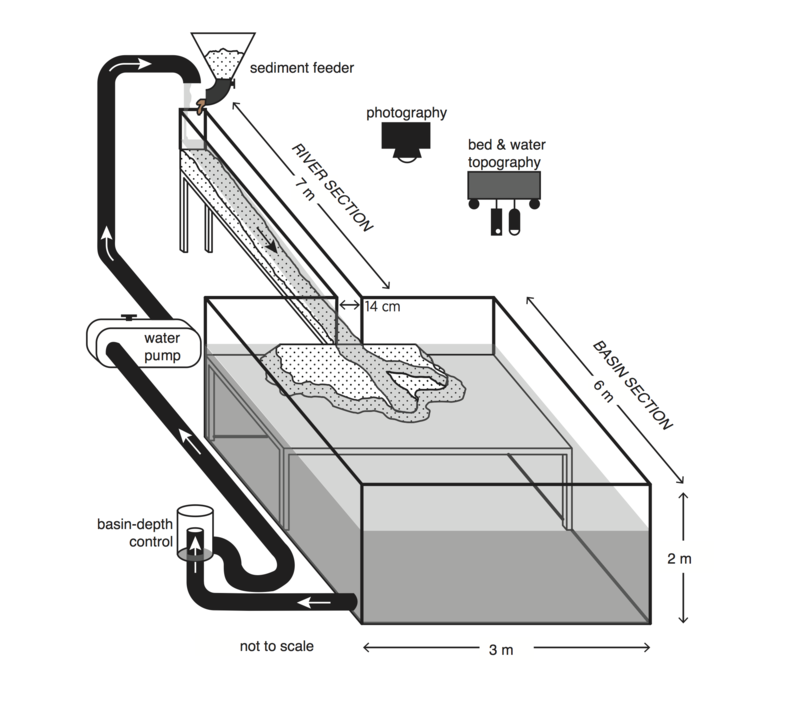 Sediment & water feed rates are precisely controlled at the upstream end of the narrow section such as to build a normal flow reach in the river section with a specific depth (~1cm) & slope (~3e-3). Bedload transport is maintained under these conditions using sand-sized (0.7mm) walnut shells. Water level in the basin is controlled with an adjustable weir at the far downstream end of the basin. We use overhead cameras to create a timelapse planform delta evolution, & laser & ultrasound altimeters to measure bed & water surface topography. Ganti, V., Chadwick, A. J., Hassenruck‐Gudipati, H. J., & Lamb, M. P. (2016). Avulsion cycles and their stratigraphic signature on an experimental backwater‐controlled delta. Journal of Geophysical Research: Earth Surface, 121(9), 1651-1675. Ganti, V., Chadwick, A. J., Hassenruck-Gudipati, H. J., Fuller, B. M., & Lamb, M. P. (2016). 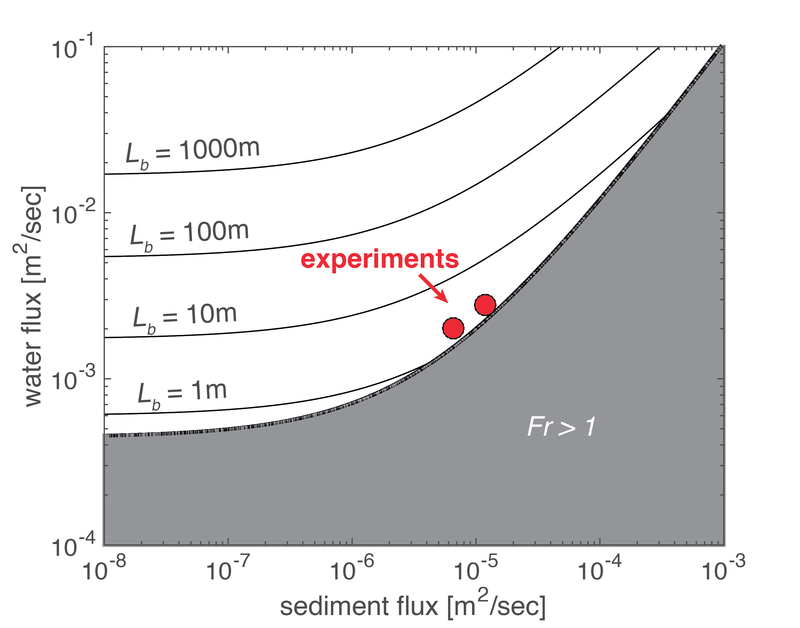 Experimental river delta size set by multiple floods and backwater hydrodynamics. Science Advances, 2(5), e1501768.